Change is happening and it's happening fast. We are beginning a transition to an electrified future, where transport demand, as well as loads in buildings, is met by renewable decentralised energy. With much of the renewable generation being intermittent in production, battery storage is going to be an essential part of future electricity systems and the buildings connected to them. We envisage a future where individuals and businesses will be using, generating and storing their own electricity; buying and selling from each other; and being part of a system that incentivises everyone to collectively manage demands on the grid. All the key technologies to make this happen are already available and reducing in cost dramatically. Solar PV, electric vehicles and chargepoints, and battery storage technologies are booming. Newer concepts such as vehicle-to-grid, time-of-use electricity tariffs, peer-to-peer trading of electricity and local electricity markets are also close to breakthrough. Put this together and storage offers households and businesses a great opportunity – to reduce bills, save carbon, improve local air quality, speed the transition to renewables and to be rewarded for participating in the management of the UK electricity system. It's a 5-fold win. For many of our solar PV customers getting a home battery system is the obvious next step. Working families who are out during the day are especially aware that although they are generating their own clean green power, they don't get to use it themselves. A home battery system can dramatically increase the percentage of solar electricity that gets consumed within the home. 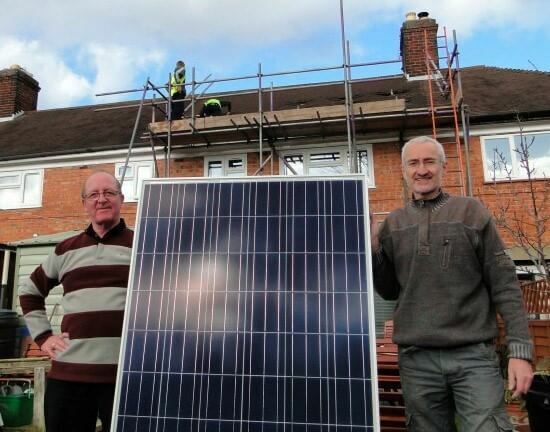 Others take a wider viewpoint – by storing solar electricity and using it in the evening, it reduces the peak demand on the UK electricity system. That means we need less fossil fuelled power stations on the network, and that's another step forward in the energy transition to renewables. Some are keen to operate their batteries in a way that helps the grid manage these peaks, and we are beginning to see novel electricity tariffs to come from suppliers to promote this. For commercial customers this can go even further – you can get handsomely paid for so called 'ancillary services' where your battery system helps maintain grid frequency, or provide short burst of power when needed. Joju is an independent company. We're not wedded to any one storage technology or provider, and we are able to give you clear and impartial advice about the options available. Battery systems are more complex technically than you may assume, and sizing the system appropriately is crucial. A sound technical solution is needed so that components work together to deliver what you are expecting. 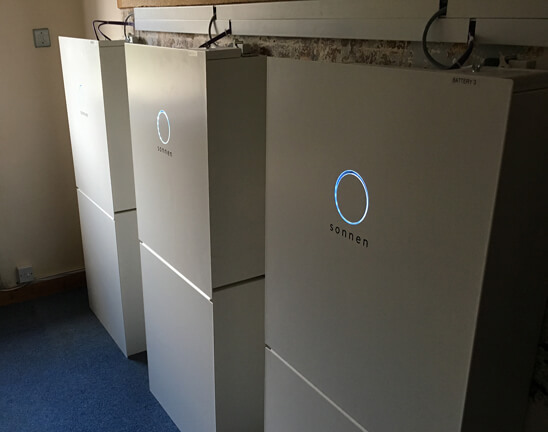 We offer a range of home battery storage systems from a wide range of manufacturers, including Tesla Powerwall, Sonnen, LG, Powervault, Moixa and SMA. We don't do 'hard sell' at Joju and our engineers always prioritise offering sound advice for the best available option. Sadly mis-selling does occur within the battery market, so we are highly supportive of RECCs consumer guide, and look to promote the highest possible standards for this new product. If we find a solution that works for you, our project managers will deliver a smooth installation, as well as comprehensive after-sales care. See how we combined high efficiency PV with battery storage to power homes day and night and contribute to electric vehicle charging. Robert Llewellyn's Home of the Future and Chris's Complete Set showcase the smart electric future. Commercial applications such as Turners Hill School demonstrate that storage isn't just for homes. Project ERIC incorporated battery systems into 50 units of social housing. 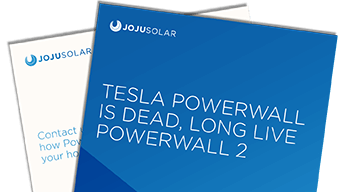 Joju Solar have been installing battery systems since 2013 and have been involved in some of the earliest trials of this technology. In 2015, we were the installers for Project ERIC which incorporated batteries into 50 social housing units in Oxford. Having gained this experience, we are now able to sell batteries to residential and commercial customers. In terms of volume, we are one of, if not the most, experienced installers of home battery systems in the country.